Easter Island or Rapa Nui is a Chilean island in the southeastern Pacific Ocean, at the southeasternmost point of the Polynesian Triangle in Oceania. Easter Island is most famous for its nearly 1,000 extant monumental statues, called moai, created by the early Rapa Nui people. In 1995, UNESCO named Easter Island a World Heritage Site, with much of the island protected within Rapa Nui National Park. 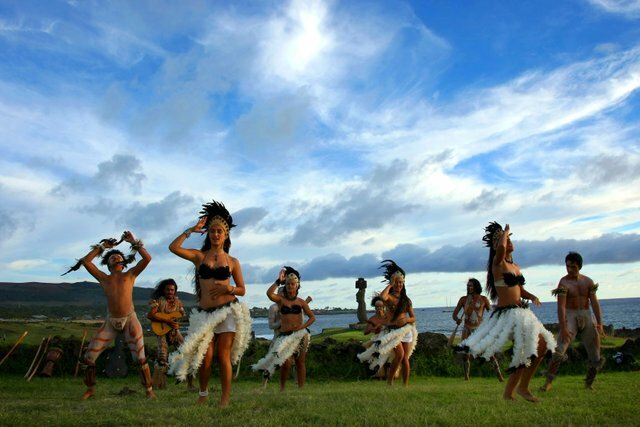 Soak up the rapa nui culture by interacting with its people. Get to know their language and amazing food. Fall in love with their exotic dances, music and Polynesian clothing. If you are looking for an intense cultural experience, visit the island for the Tapati festival that happens every February. There you’ll experience the typical traditions of the rapa nui people, like painting your body as their ancestors did and enjoying some amazing competitions. Yah I saw that thanks.